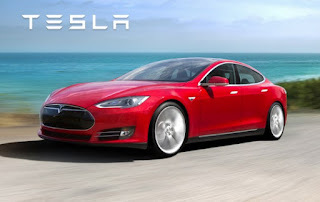 UBS’ Colin Langan maintained a Sell rating on Tesla Motors Inc (NASDAQ: TSLA), with a price target of $140. Langan believes that the 60 percent surge in the share price following Tesla Motors’ 4Q results, was not supported by fundamentals and largely driven by the announcement of the company’s ABL draw down. The analyst cautioned that fundamental headwinds continue to impact the company’s storage business, while drawing attention to the long term profitability of Model 3 and the probability that the company would eventually need to raise cash. Langan also pointed out that the list of competitors for Model 3 continues to grow, with the Chevy Bolt slated for launch at the end of 2016 and several other OEMs looking to launch mass market EVs during 2017. The analyst believes that the upcoming Model 3 reveal could potentially be a negative catalyst due to high expectations and new competitors. On the other hand, if Model 3 was “too exciting,” it might have a negative impact on the sales of the already available but much more expensive Model S.